It looks close to Chuckar. I am adding UV resin to the abdomen to some of my Soft Hackles and nymphs. 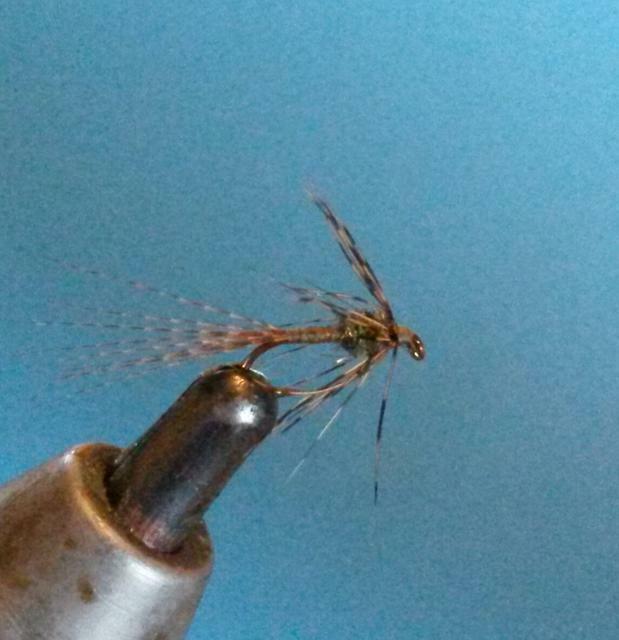 This size 18 BWO has a tail of CDL and I am using a Whiting 4B hen in Dun for the hackle. "Some even knew a PMD was a baetis." I stand corrected on the PMD. I have talked to people from all over the country Bob. You seem to be the only person I know of that has an issue with what a BWO is. Or an issue with what other folk call a BWO. I did not dig too deep in to YouTube, but every video I saw knew a BWO was a baetis. Some even knew a PMD was a baetis. I am at a loss for words. Latin or English. BWO for me and anyone I have talked to for 40 years has been synonymous with Baetis or Baetidae. A few responses to this thread threw me for a loop. Topic: New goodies on the way ! Re: New goodies on the way ! Woodcock is on my to get list. Well done. I just noticed you are from Boulder Mt. My wife has a lot of family that lives there. I miss vacationing there and fishing the Boulder River, Basin Creek and the many small creeks in the area. 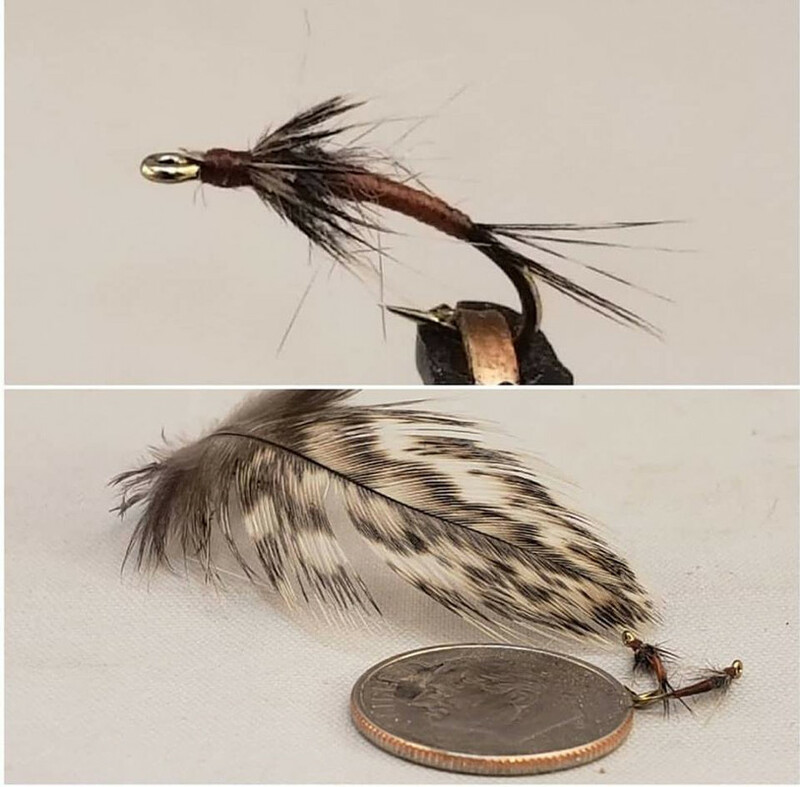 Size 20 Soft Hackle. Tail and collar are both from an over size CDL hen feather. Body of thread. Thorax of Mole. Dai-Riki 270 hook, so it is a long shanked size 20. Topic: Three basic Soft Hackles that worked great for me last year! Re: Three basic Soft Hackles that worked great for me last year! Trifly- what size are your flies? They look like 18 or maybe even smaller. Very impressive. Size 24. Dai-riki 310 hook. Not too bright here. Tried to edit the post and messed it up. I too like the spiders JCwillow posted. Well done.